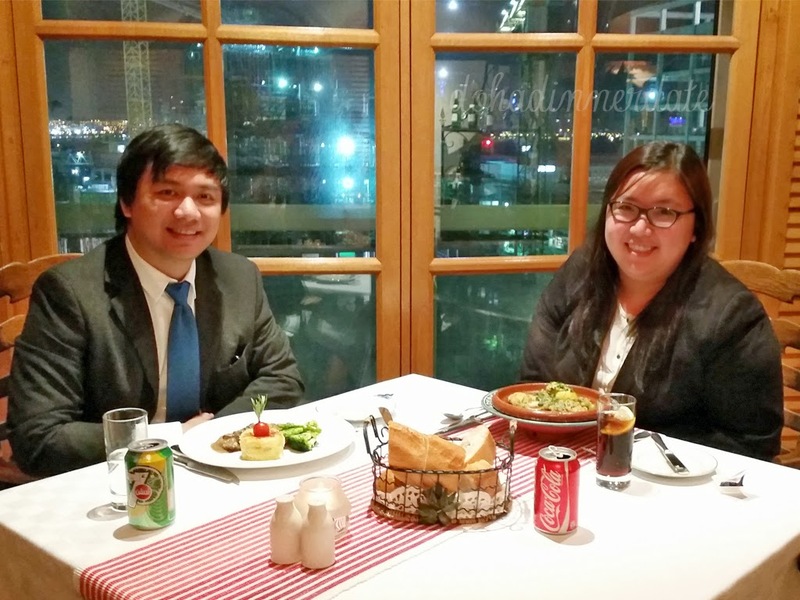 We got this cheap deal on Qgrabs for a 3-course dinner at the Grand Mercure Doha. It isn’t actually an ideal place for a date because of all the construction going around in the Musheireb area but since I have about 6 unprocessed film canisters (yes, I use film) and the only place, Gulf Colours, in Doha that develops film in 2-hours is that same place, we decided to purchase the deal and schedule the dinner. 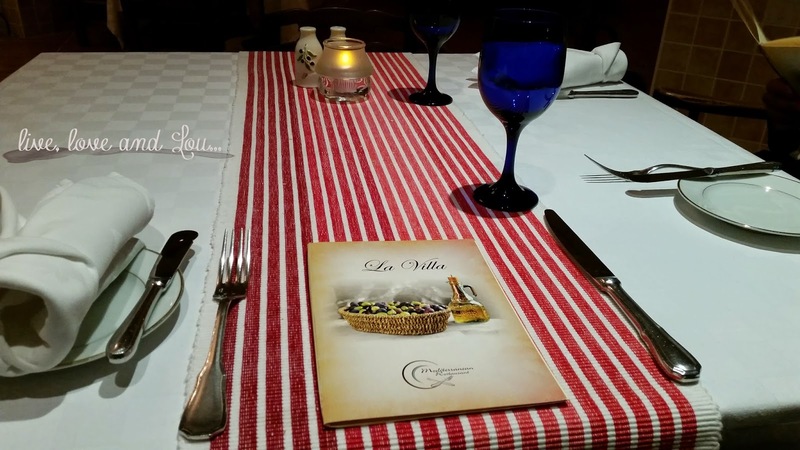 La Villa is a Mediterranean restaurant with exactly that feel. Although, the views from the windows are mostly on-going construction, the interior was still pleasant enough. We went there right after work and they open at 7:00pm so we had to wait a little while on the hotel lobby. The interior of the restaurant is very neat and clean. 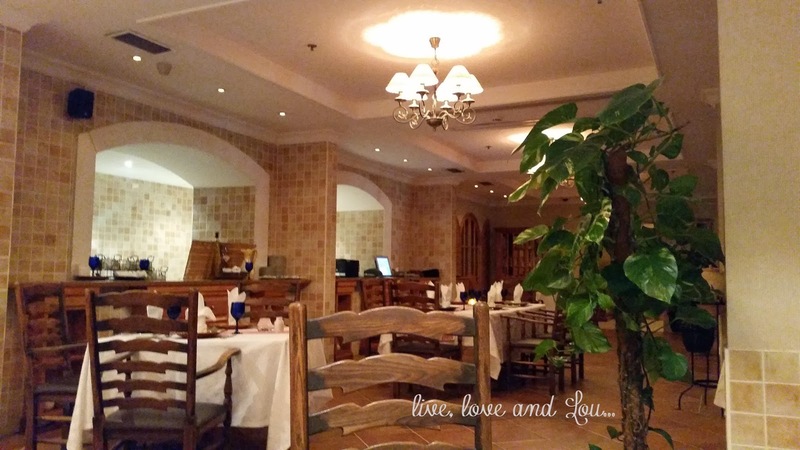 You could definitely see the Mediterranean feel of the place from the warm lights and appropriate furnishings. 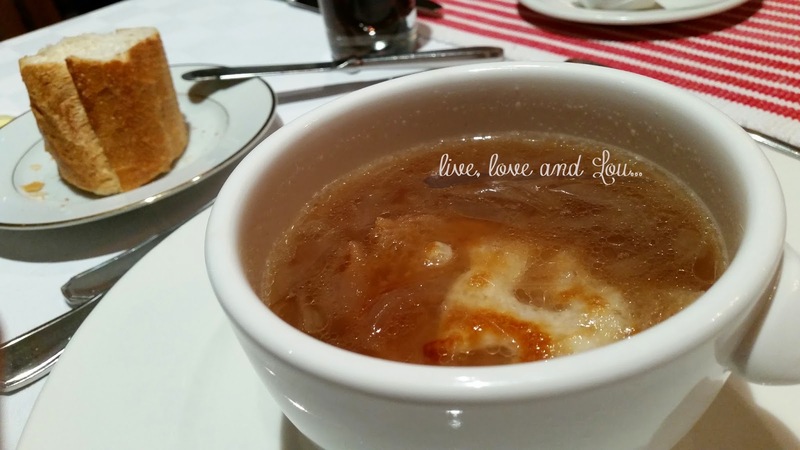 The soups were both very refreshing especially the Tom Yam Soup. 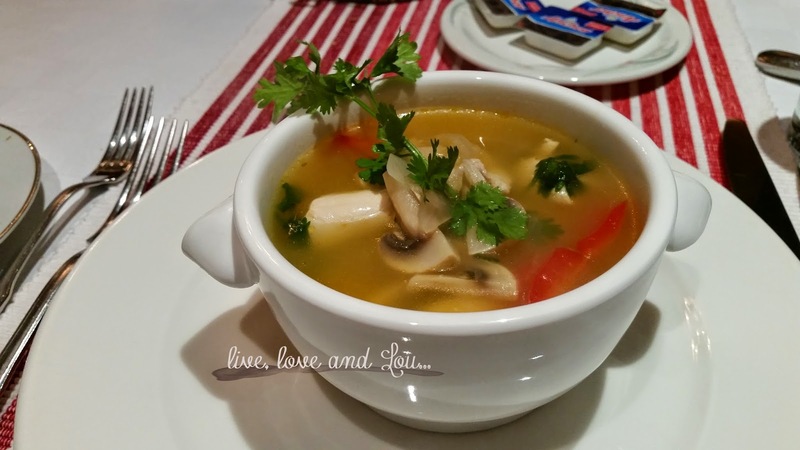 My husband says its the best Tom Yam he's tasted in a while. 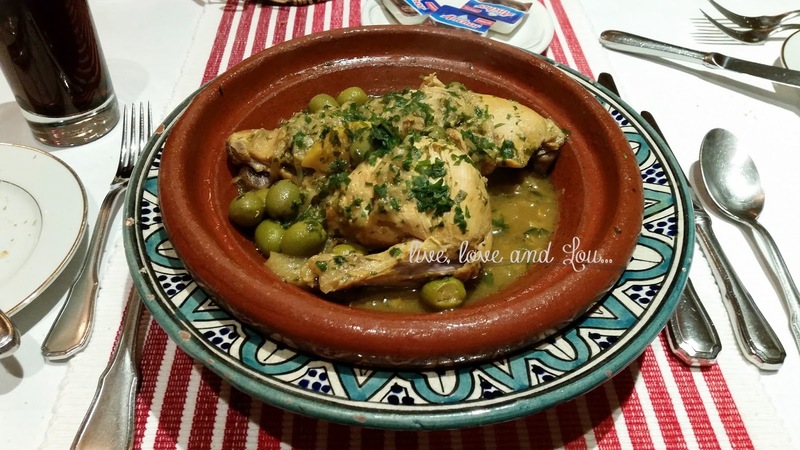 The Chicken Tajine was a surprise, I was a bit hesitant with this dish but I wanted to try it at the time. It was first time to try a Moroccan dish so I didn't know what to expect. 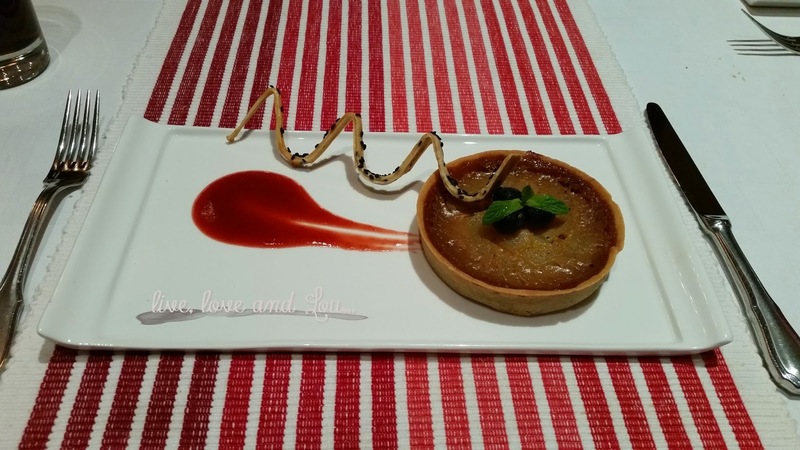 After having tasted it, I would say that it was a great experience and I would love to try more Moroccan dishes. 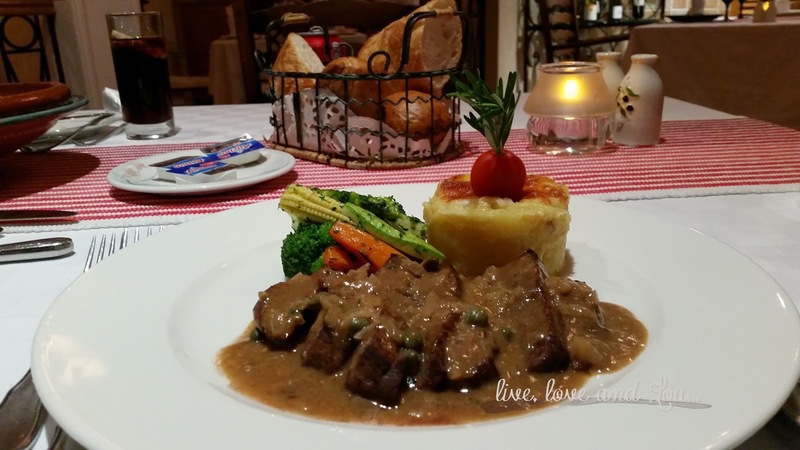 This dish was a sure win, the tenderness of the beef and the savory gravy sauce was the perfect combination. This tart-ish dessert topped with blueberries was not at all too sweet (just the way I like it). 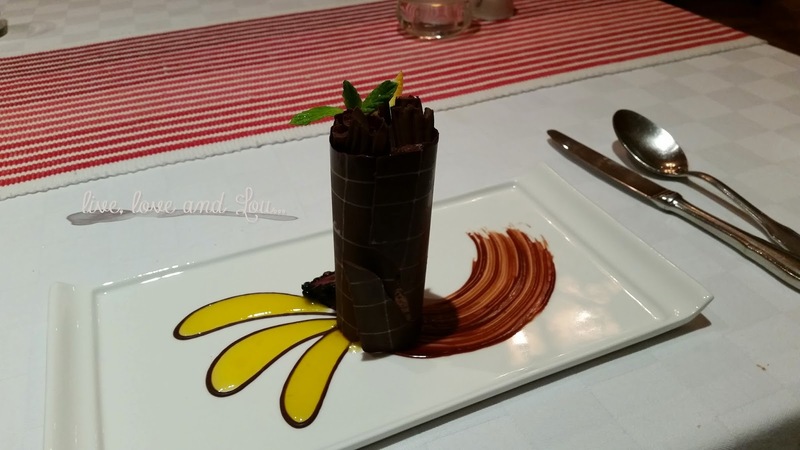 The Chocolate Tower is a mouse based dessert covered in dark chocolate served with orange sauce and berries. The perfect top-off to any meal. 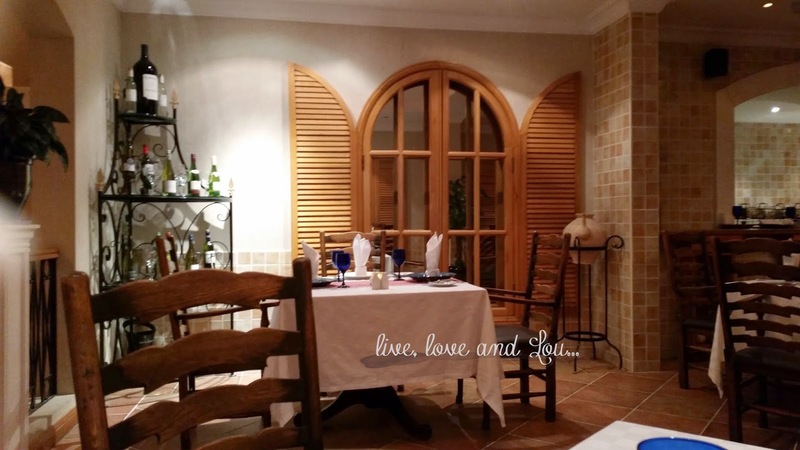 The overall place was warm and the staff was accommodating. The waitress was overly chatty and very friendly. We would surely come back for a second visit.